We’re jumping for joy in Cybertill HQ today because we’ve been nominated in the Multi-Channel Solution of the Year category at the Retail Systems Awards 2019! Now in its 14th successful year, the Retail Systems Awards recognise technology excellence and innovation within the retail sector and is one of the most prestigious retail awards in the UK. 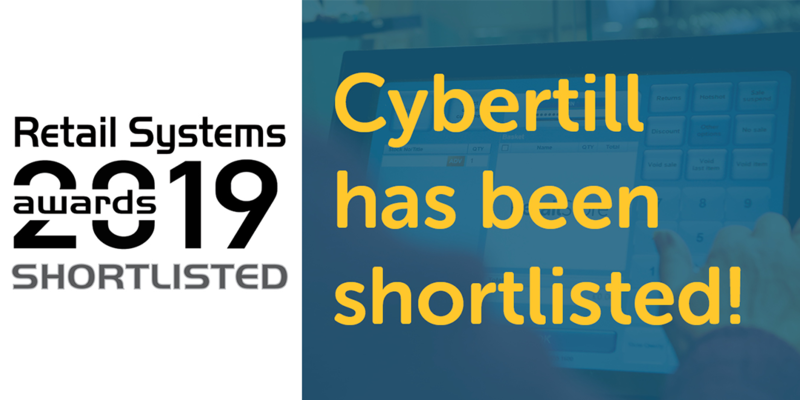 Shortlisted in the Multi-channel Solution of the year category, Cybertill’s EPoS and retail management software was the world’s first cloud-based EPoS, starting out in 2001, Cybertill were first to connect retail stores together and online ecommerce websites, all in real-time. Cybertill’s software platforms RetailStore and CharityStore makes multi-channel retail achievable to retailers of all sizes, from independents, to SME and corporate, along with charity retailers. Cybertill has helped thousands of retailers globally increase profits, automate processes, and importantly, give their customers great shopping experiences across all shopping channels. This nomination comes off the back of winning the IT Europa Award in March for Vertical Market Solution of the Year and is Cybertill’s seventh award nomination in a year, we were also nominated for the Retail Tech Awards, Big Chip Awards x2, Amazon Growing Business and the Knowsley Business awards, which we won. So, it’s safe to say we are very proud that our hard work is being noticed in the industry. The winners will be announced at the Retail Systems Awards 2019, 27 June 2019 at The Waldorf Hilton in London. Wish us luck!